"Takano, H. 1981 . 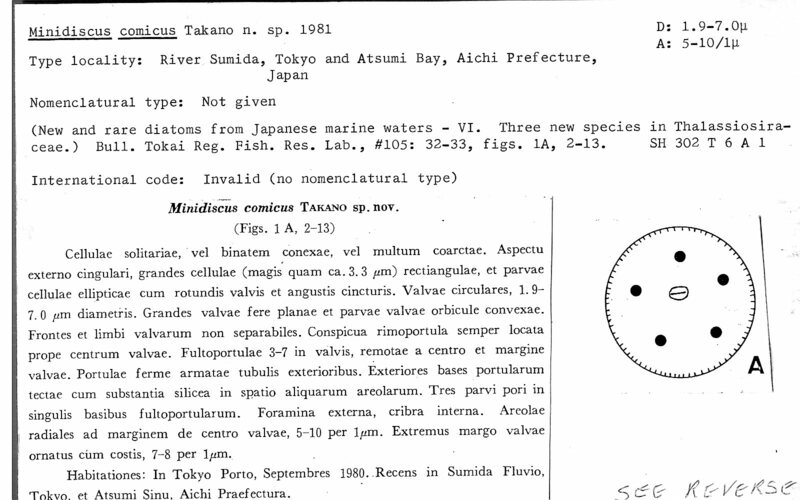 New and rare diatoms from Japanese waters. VI. 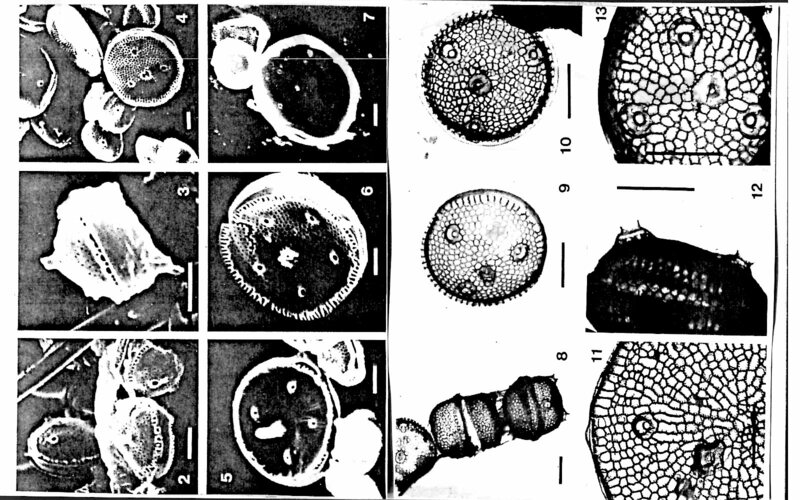 Three new species in Thalassiosiraceae. Bulletin Tokai Regional Fisheries Research Lab 105:31-43."